Paying off debt can be a tedious and tiring process. Trust me. Throughout my debt repayment journey so far I’ve gotten frustrated, upset, angry and I’ve had thoughts of splurging and simply just giving up. Being in debt can make you feel trapped, emotional and resentful; especially during the holidays when everyone is spending like crazy. Posting my budget reports each month and my debt updates on this blog helps relieve me and I know that my sacrificing will all be worth it in the end. However, I’ve realized that there’s one important ingredient required in order for anyone to make progress on their debt: motivation. Being motivated helps give you the willpower to commit to paying off your debt regardless of your income or current situation. If you aren’t motivated, you simply won’t get anywhere when it comes to paying off debt. Knowing that motivation is so crucial, I understand that not everyone gets motivated in the same ways. I’ve posted about staying motivated when you’re paying off debt before, but those techniques might work well for some and not so well for others so I decided to step it up a notch and suggest some detailed and unique ways to boost your motivation during the intense debt journey. Using credit cards should be a big NO if you have credit card debt or if your debt is just out of control. Removing my problem credit cards from my wallet was one of the first things I did when I got super serious about paying off debt. I even asked someone in my family to hide them from me. This technique worked, but I found out that whenever I would get my credit cards back in my wallet, I knew they were there and I would rely on them to make impulse purchases. So I basically figured out that ‘hiding’ my cards did nothing to change my behavior or boost my motivation. It simply allowed me to not have access to credit temporarily by avoiding it. Instead of hiding from your credit cards and avoiding them, wrap each one in tape leave a little note on it like ‘Stop Using Me’ or ‘I Am the Enemy’ so you won’t even be able to physically swipe the card when you are out. You’ll be doing yourself a huge favor by confronting your issue with credit cards and making a conscious decision to stop accumulating debt instead of practicing avoidance. If logging on to your accounts and smiling to yourself as you review your statements and see the balance decrease isn’t enough to motivate you all the time, you can create some unique, interactive visuals to help boost your motivation. Creating a vision board and filling it with images, goals and affirmations of what you’d like to achieve and what you want your life to be like can be very helpful to look at each day. Some people also create visuals that they can update like making paper chains to cut every time a debt repayment milestone is reached or coloring in portions of a ‘debt thermometer’ as you make progress. Consider creating a fun visual that you and your family can update as your debt decreases. I know this might sound cliché and not unique, but if you can’t write down at least 10 reasons why you need to pay off your debt, then you probably don’t have enough motivation to begin with. The source of your motivation and drive to reach your goal should stem from your main reasons why you are even trying to achieve your goal in the first place. After you’ve written down at least 10 reasons why you need to pay off every last cent of your debt, put that list in a prominent place in your house or even make copies of it to put in different places of your home and near your work space at your job. Whenever I feel like I’m at my lowest point and I want to give up, I picture my son standing in front of me asking why I want to quit and how I would explain giving up to him. Each time, giving up ends up seeming like a silly and over-dramatic idea and I decide to keep pushing forward. I don’t want to fail and can’t stand the thought of having to explain to someone who’s looking up to me and depending on me why I just quit. If you have kids, you can use them to motivate you in this way as well. If you don’t have children, you can choose someone who really looks up to you and admires you whether it’s a family member, friend, or even your readers/audience if you have a blog or business. I know there is a lot of ‘I’ going on in my reasons to become debt free, but I’m not just doing this for myself. I’m doing it for my family, friends and to help encourage and empower others so that’s something important to keep in mind when a motivation boost is needed. If you are in debt how do you boost your motivation when the going gets tough? These are great ideas! My husband and I have our list of reasons taped to the front of our refrigerator so we have to see it every day. We also have our total amount of debt taped right next to it, that helps keep it front and center. I also like the idea of explaining to your child why your giving up. As a mom I want to teach my boys to always try their best and never give up. I think that is a trick I could use for a lot of different things, not just for staying motivated to pay off debt. That’s great that you have your reasons listed clearly in a prominent place where you can see it every day. I have my vision board next to my bed in my room. I think one of the biggest reasons I hate debt is I hate owing. Period. There is something very freeing about being totally free in that way. Yes and I have yet to experience for that. Or I think back when I had that freedom I took it for granted. Being in debt is definitely a roller coaster with lots of ups and downs. Great tips! I’ve never heard of putting tape on your credit card before. Interesting! Thanks Cat! Yeah, I initially figured I would try something new since hiding my credit cards only worked when they were safely hidden. As an adult, I should have the self control and determination needed to spend wisely and sparingly as needed. My biggest motivation is seeing the balances decrease. That’s why do monthly updates. Great tips! I look at my debt repayment updates. That’s enough motivation for me. 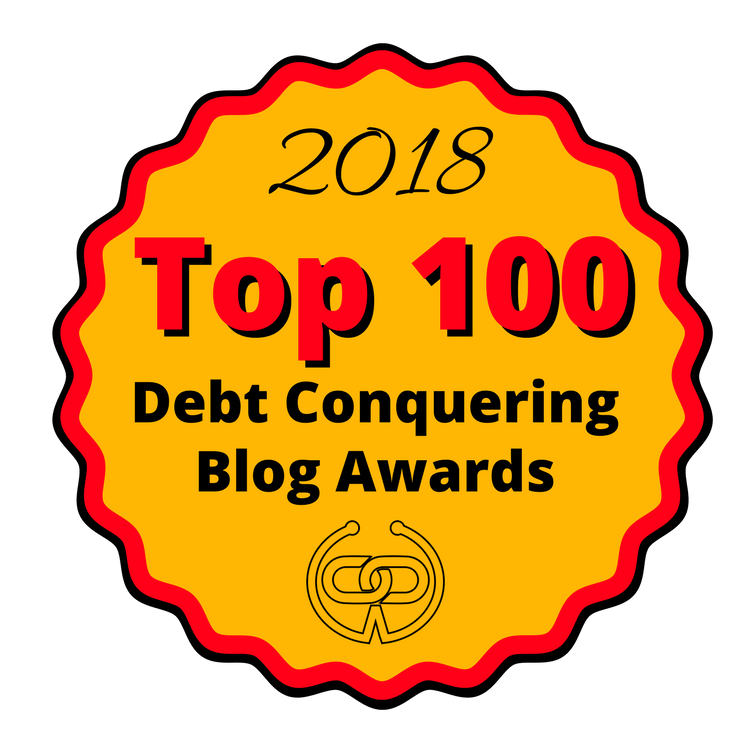 I never thought to write out 10 reasons why I want to become debt free. You might have just given me a future blog post idea.